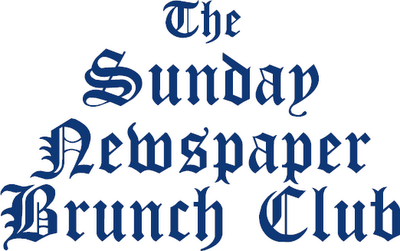 On the Sunday Newspaper Brunch Club today at 11am, Sky Digital 65, with the best political news team on television, Mat McCarten Herald on Sunday columnist, Bomber from Alt, Ben Thomas from the NBR and the last man to be convicted of sedition in NZ, blogger Tim Selwyn. 1: ACT handing out party pills to get students to sign up. 3: The US West is heating up at nearly twice the rate of the rest of the world and is likely to face more drought conditions in many of its fast-growing cities, an environmental group said Friday, which seems karma doesn’t it? This combined with the collapse of another Antarctic Ice Shelf which will speed up glacial melt which will have an impact on sea levels, reminded everyone that no matter how much it’s being ignored. Global warming is here. 4: Mugabe printing 9million ballots but there are only 5.9million people left alive, do the math. China and South Africa prop this evil little man up with aid, surely the pressure goes on them to make him stand down. 5: Thought Christchurch emptying the city to chase off Greenpeace protestors with water cannons was a bit rich when they allow boy racers to bring the entire city to a standstill, but one coal ship must NEVER be delayed. KIWIS ARE shunning the Beijing Olympic Games, worried about China's human rights record, politics, pollution and the cost of travelling there. Travel agents say Kiwi sports fans are ignoring the August summer games like never before just as politicians and businesses eye the expected signing of a coveted but controversial free trade agreement in China next month. It’s good to see NZers refusing to endorse this version of Berlin ’36, but what about the sports stars themselves, shouldn’t they agree to go only of they protest? WITH ONLY a week to go before the scheduled signing of New Zealand's groundbreaking trade deal with China, a jittery government has gone into an information lockdown for fear of jeopardising the deal. Here is how Murry McCully wins the election for National! Police Commissioner Howard Broad has acknowledged and expressed regret over the hurt caused to Maori by last year's anti-terror raids. The frank admission was made during a speech at a Wainuiomata Marae hui in which Broad also spoke of differing opinions with his advisers over the raids. He did not rule out a future apology to Maori. This is a positive move, the issue of why Police burst into land as steeped in grievance as Tuhoe land has never been answered, will these comments alter the course of the arms trial? Labour has almost halved National's lead in the Herald-DigiPoll survey. National has slipped by 4.6 percentage points in a month memorable for slip-ups and lacklustre performances by leader John Key. But the party is still ahead - it has the support of 49.9 per cent of decided voters, and could still govern alone with 63 MPs. Labour's fight-back has lifted it 2.8 points to 39.3 per cent in a month of carefully designed publicity hits for the Government, including a snap move to try to keep strategic assets such as Auckland Airport in New Zealand control. US forces have been drawn deeper into Iraq's four day-old crackdown on Shi'ite militants, launching air strikes in Basra for the first time and battling militants in Baghad. The fighting has exposed a rift within the majority Shi'ite community and put pressure on Prime Minister Nuri al-Maliki, whose forces have failed to drive fighters loyal to cleric Moqtada al-Sadr off the streets of Iraq's second-largest city. This was a power move by Maliki to eliminate al-Sadr from the political equation which shows how the attempt for democracy has utterly failed, how is it acceptable for Maliki to launch military attacks against political foes, and now he’s botched the attack, the American’s have been drawn into the fight, this can now spiral out of control and the stage is set for an atrocity – a reminder how quickly things can deteriorate. With China killing monks, perhaps the Americans have calculated they can sneak in a couple of quick low blows while no one is looking? FINAL WORD – Nandor on Lets be Frank replay 10pm tonight and Dr Michael Cullen on Let’s be Frank Tuesday 8.30pm – oh and I interview the Venezuelan Ambassador on Green Core, this Wednesday 8pm. Well, I've been watching your show today and it is reasonably enjoyable. One thing: can you shut up when Tim or Ben are trying to speak? Talking loudly over the top of someone doesn't necessarily mean that your opinions carry more weight than anyone else's. Otherwise, good show. I don’t quite agree with Ben’s comments on US and EU farm subsidies. Although I think that eliminating those subsidies would be an improvement to the status quo, I think the problem lies with developing countries not being allowed to counteract those subsidies with tariff protection. Removing trade barriers are part of the IMF structural adjustment policies that developing countries were forced into when their governments (often corrupt dictatorships) took out loans to bridge budget deficits. I don’t think free trade between all nations is a good idea. I think a trading block model is a better idea, where the trading blocks are made up of economies with similar levels of development. Governments would lower (raise) tariffs on imports from countries within (outside) the block. There could be a Latin American block, an African block a small Pacific Islands block etc. This should minimise the harmful aspects of trade liberalisation while retaining most of the advantages. Do polls even ask about split voting?